This very special event is open to Trail Blazer members in good standing only. The trip is for the entire family. You may join in on the yet to be planned hikes, or simply enjoy the sights. 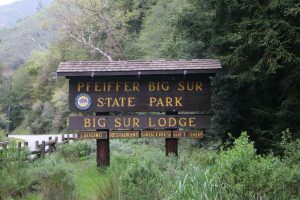 We will be tent camping at the Pfeiffer Big Sur State Park campground. There is a non-refundable campground and parking fee, shared equally between all those who sign up. Space is limited, so be sure and make your reservations early.